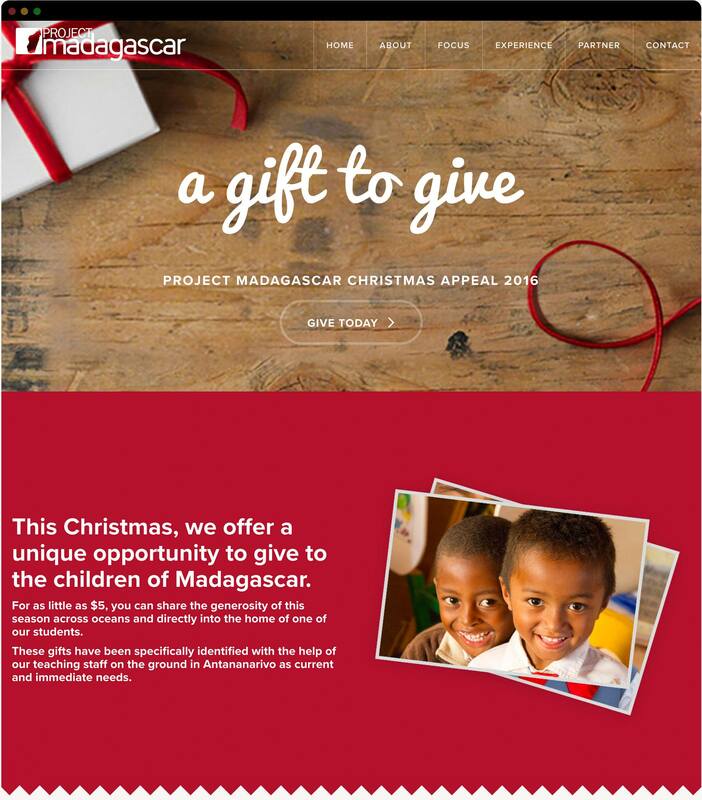 Project Madagascar came to us wanting to freshen up their website. They have been operating for a little over 10 years and had some amazing photos and stories from on the ground projects that they wanted to highlight. We suggested that we do a redesign to help better highlight these projects. They also requested that we assist them with their 2016 Christmas appeal, ‘A Gift To Give’. I personally got to visit this amazing project back in 2006 and so of course working on this website was something super special. We wanted to develop a site that would engage the visitors through imagery, give them a brief overview of what the Project had accomplished so far, and what a small (or large) donation could assist with. 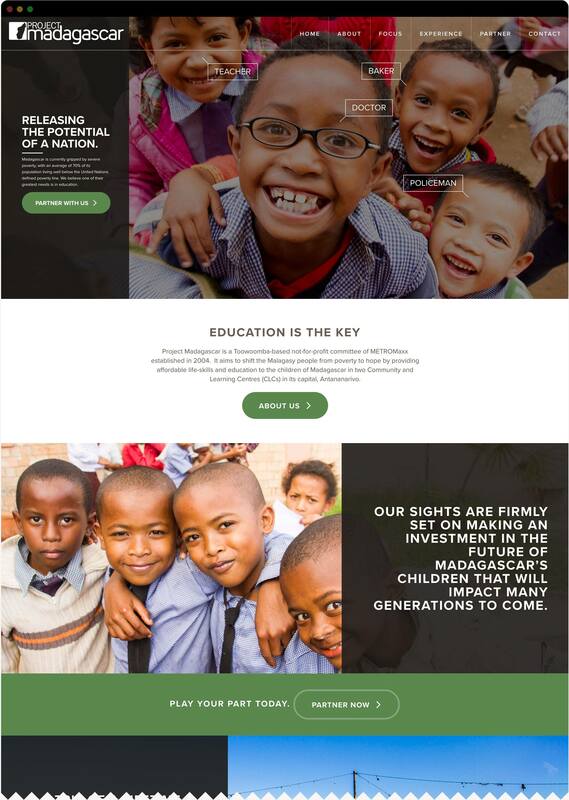 We developed a custom WordPress website that used could receive donations from visitors with ease. Hello Hudson consistently deliver quality, excellence and style. We have worked with them now for many years on many projects and continue to value their business ethic, attention to detail and customer service. Ryan and Cassie are easy to engage, can translate objectives into design with precision and are passionate about what they do.